If you already have a blog then you will know about the benefits of blogging for business (if you haven’t then here is why you should). It’s a great marketing and promotion tool as well as a fantastic platform to show off your personality to clients. However many people, with or without a blog, feel that the actual growing of their blog is a long, daunting task that’s going to take forever. There are so many little things you can do each and every day to improve your blog. 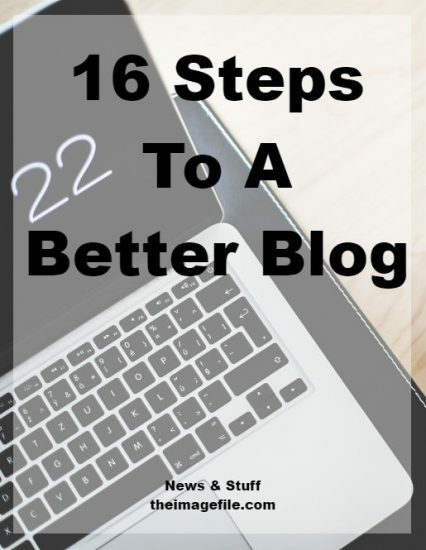 I’ve created 16 steps that you can do any day you get a chance to create a better blog. Day 1: Organise your tags. Make sure all your past blog posts are tagged accurately and correctly. Not sure you’re doing it right? Here is a guide to tags. Day 2: Organise your categories.Get rid of any that are no longer necessary and add in any you’re missing. Check out the link above for help with categories. Day 3: Do an SEO freshen up. We all learn as we go, so go back through past blog posts and give them a bit of an SEO refresh. Take a look at our guide to using Yoast SEO properly. Day 4: Update your blog design for a new look. There are lots of places you can find beautiful blog designs including Bluchic or Etsy. Day 5: Check all your past posts for broken links and either correct them or remove them. Day 6: Go through old blog posts and remove anything that no longer provides value. Are there any “fluff” posts you no longer need? Are there any posts that no longer relate to your core topic? Day 7: Plan out your blog content for the next week. The more planning you can do, the more consistent your content will be. Day 8: Start pinning the images from your blog. This is a great way of getting your work out there and linking back to your blog/website. Day 9: Set up Google Analytics for your blog. The more you know what your visitors like, the more you can deliver it. Day 10: Brainstorm some ideas for future posts. Need some ideas? Check out our 23 blog post ideas just for photographers. Day 11: Read back through past blog posts and correct any spelling, grammar and punctuation mistakes. Day 12: Go back through past blog posts and add in any links to appropriate new blog posts. The more you can deep link your posts, the better. Day 13: Decide on a posting schedule that works for you. This might be once a week, once a fortnight, or just once a month? Maybe it’s first thing in the morning or when the kids have gone to bed? Just choose a time that works for you and commit to it. Day 14: Set up auto-posting for social media. It will make keeping your social media up to date easier and quicker. We recommend the NextScripts: Social Networks Auto Poster widget which is really easy to use and can post to Facebook, Twitter and Google+ just be clicking the “publish” button. Day 15: Research some tips to improve your blog e.g. blogging tips, SEO tips, social media tips. Day 16: Clean up your side bar and footer. Make sure you only have the necessities in these areas otherwise it can get confusing and overwhelming for visitors. Do you have any tips for improving your blog?